Conventional bridges tend to be used to replace back teeth, where the biting forces are relatively high, needing a strong bridge structure. 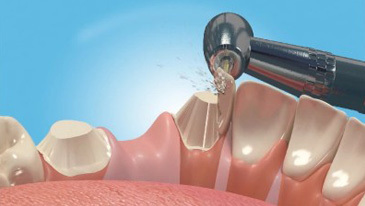 They can also be used to replace a missing tooth where the adjacent tooth or teeth are filled or crowned. The base is usually made of a metal, which gives them a solid structure and makes them hard-wearing. If you need a bridge in your smile line, porcelain is usually added to the base to make it look more like real teeth. Adhesive bridges can be used in cases where a single tooth is missing and the biting force is not particularly large. The advantage of an adhesive bridge is minimal tooth loss needed on the supporting tooth. Once you have a bridge fitted, you will have to take extra care during your daily hygiene regime to ensure it stays plaque free and does not cause bad breath or promote decay. Dental material technology has progressed rapidly over recent years, with new, but unfortunately expensive porcelains, providing excellent aesthetics. Together with the latest Computer Aided machinery the strength and fit of bridgework can be can optimised. 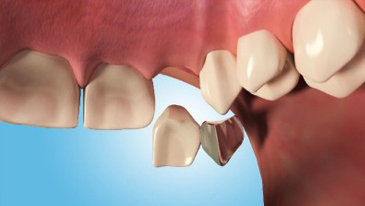 Dental bridges are an excellent fixed prosthesis, but can only provided in cases where the adjacent teeth are suitable.